In an intimate setting, in a quiet space at our Lakewood Spa, Sacred Hour now offers Vinyasa Flow Yoga classes for small groups of no more than 10 students. You may also book a private or semi-private (2 students) sessions, with Karen or Tres, our Certified Yoga teachers. Take time to cultivate a practice that is right for your individual needs. Working one-on-one or in small groups is a great way to deepen your understanding of how Yoga can work for your body and mind. Group Classes are offered in series only. To receive information on our ongoing series, held by Karen, email info@sacredhour.com. If you are interested in scheduling a private yoga class for a small gathering and add a private steam, email us at info@sacredhour.com to schedule. Karen loves bodywork, meditation and fitness; yoga encompasses all three. She has practiced bodywork for over 20 years, meditated since she was 10 and taught fitness classes since she moved from California in 1998. She is very excited to teach yoga at Sacred Hour. 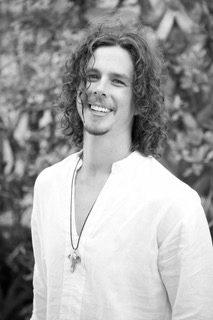 Tres became a Certified Yoga Teacher in 2009. Since then he has taught a variety of yoga classes including, hatha, vinyasa, restorative, yin, meditation and pranayama. He helps students to find their own personal practice by teaching them the fundamentals of yoga and offering different options and adjustments to their practice.